Why the need for a Sous Vide Sleeve? 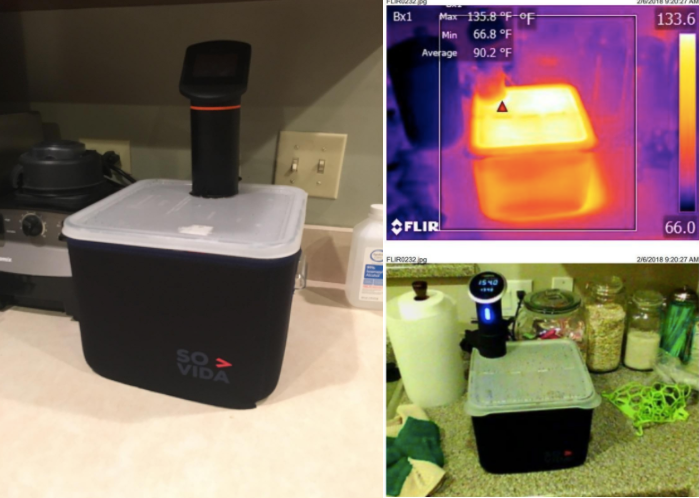 For many years we had the problem of trying to find a good way to insulate our sous vide container. Our ‘least bad’ solution was to use towels to cover the container on the base and around the sides. 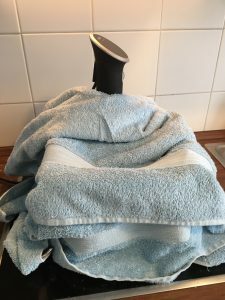 However as the picture below shows, this is a fairly ugly solution which becomes quite embarrassing when you have guests over for a sous vide feast. From the start of the development process, it was clear that the end product would need to strike a balance between insulation properties and good looks. For instance, we considered to make a wrap from metallic Reflectix material which would have provided excellent insulation properties, however this would be a far from pretty solution and additionally it would have been prohibitively expensive to produce. 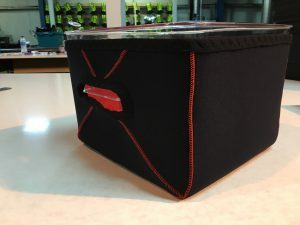 We therefore decided to use neoprene as the base material which would provide excellent insulation properties and it would also be sleek and attractive. Essentially we had decided to make the ‘Beer Koozie’ for a sous vide container. We set out to make the sleeve originally for the Rubbermaid 12 Quart Container (a popular choice for many sous vide cooks). We went through several iterations of the product and as you can see from the picture below, the first few iterations left a lot to be desired. It is essential the neoprene has a tight fit around the container. This is because the neoprene needs to be touching the container to ensure maximum insulation is provided. Not all neoprene is made equally. Some cheaper neoprene we tested did not have the necessary insulation properties that we desired. As a result, in our sleeve we use a premium based neoprene that maximises the products insulating capabilities. We took a pro-active approach to avoid cheaper materials to ensure the greatest potential insulation for the sleeve. After significant testing and conducting market research with sous vide users, we were able to create a final product which is now the version which we currently sell (see picture below). 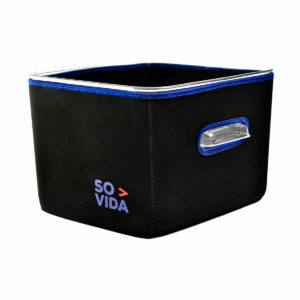 After this, we set about creating several variations of the product for many of the other containers that people use so that all could benefit from the sleeve. 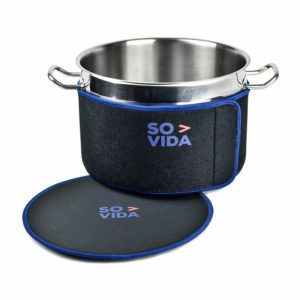 We also created an insulation band for pots so that people who prefer to use a pot rather than a container can also benefit from insulation and work surface protection. Overall it was tough process to bring this to market, but incredibly rewarding to see the vast number of people who have enjoyed using it. If you would like to buy one, then head over here to grab yours..